Pio Cesare is one of the most historical and storied houses in Langhe, and with it`s relatively large production and emphasis on export, it´s one of the most well known as well. Back in the days, their Barolo was probably one of the first I`ve ever tasted. Their house style kind of balances between traditional and modern. It depends a bit on the wine, and their single wineyard Barolos are definitely on the modern side. But this blended Barolo on the other hand is leaning more toward traditional and classical style. A Barolo "normale" With grapes coming from four different wineyards in Serralunga d`Alba,(Ornato), Grinzane Cavour(Gustava), La Morra(Roncaglie), Barolo(Ravera). Nice, very translucent color of ruby red and tad bit orange on the rim. Intense aromas of dried red and dark berries, subtle oak,(that faded away as the wine breathed), some herbs(rosemary and sage), asphalt, tar, quite a bit of mushroomy action, tobacco leaves and smoke(kind of like Latakia, a smoke-cured tobacco from Syria). Suberb structure, massive tannins that are actually delicious, not bitter. Medium to full bodied, and silky smooth on the palate. Quite strong acidity, nice freshness, and good fruit. Delicious combination of red and dark berries, tar, liquorice, smokiness. Savory. Loads of umami here. A bit like a salty liquorice candy with a bright red berry marmalade core. There`s also a hint of subtle oak on the palate, but as in the aromas, that faded away as the wine breathed. Beautiful and long aftertaste with ashy tannins, tar, Cuban cigar and dried berries. Alcohol is totally integrated. Sure, I`m drinking this way too young, but this is showing fantastic balance already, and is just super delicious, so it sure isn`t a crime to pop one up. I have some still in cellar, so will be interesting to see how it develops. Refined, yet extremely powerful Barolo with an impressive balance and elegance already. 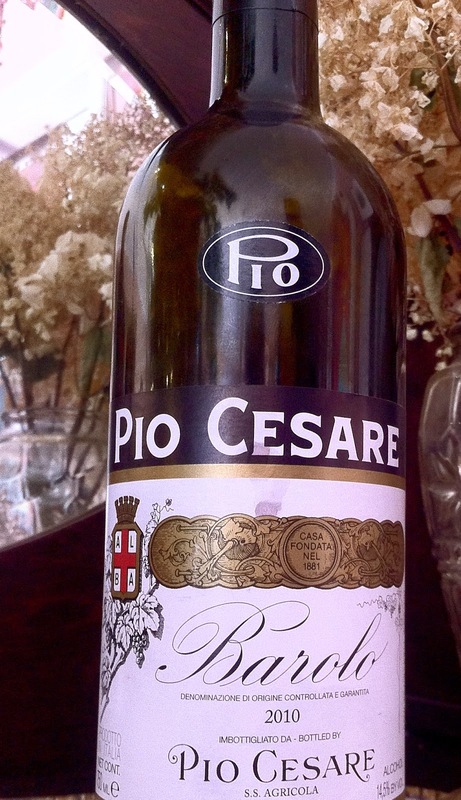 Pio Cesare gets sometimes criticized as being on the modern side but I don't find their wines to be nearly as modern as many others. Especially this regular Barolo I think is delicious and "really Nebbiolo", and quite approachable even at young age. The ~55 € price tag is not that great value though, but I've seen pretty good prices in Italy. Yeah, totally, I think their single vineyard bottlings are much more hanging around on the "dark side". Though I`ve only tasted their `Ornato` long time ago, as I´m not really that interested of the modern expressions of Nebbiolo, and specially with those prices. But this one is indeed a gorgeous wine and a "true" Barolo. And agreed, when the price is more around 40`s I would consider this a good buy, but when it`s reaching towards 60`s, I`d already start to put my money probably somewhere else; the competition just gets tougher..